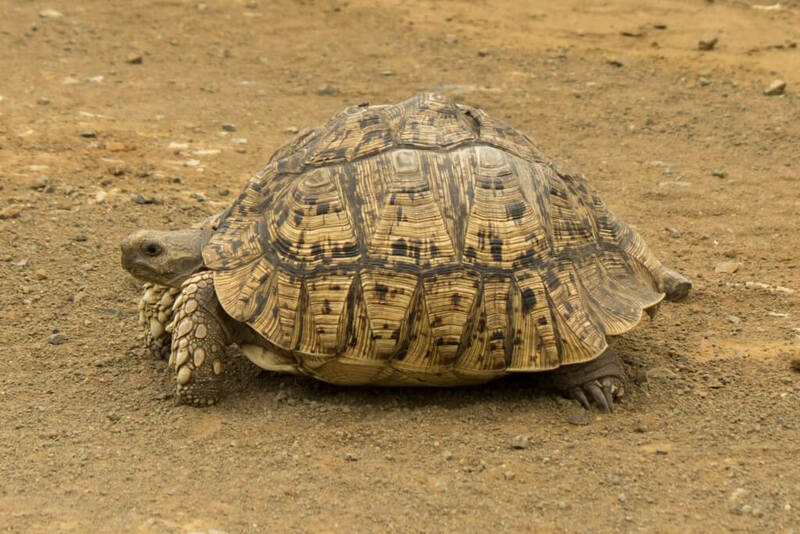 The leopard tortoise (Stigmochelys pardalis) is the fourth largest species of tortoise in the world and the second largest in Africa after the African spurred tortoise (Centrochelys sulcata). An average adult reach a length of 46 cm (18 in) and a weight up to 54 kg (120 lb). There are larger specimens, and the largest are found in Ethiopia and Sudan where some can reach lengths up to 100 cm (40 in) or more. It is named for its attractively marked carapace, with black blothces, spots and dashes on a yellow to cream colored background. No individual looks the same. The black markings are darker and clearer on younger individuals, and they fade away gradually as the tortoises age. Older individuals can have no clear markings at all. 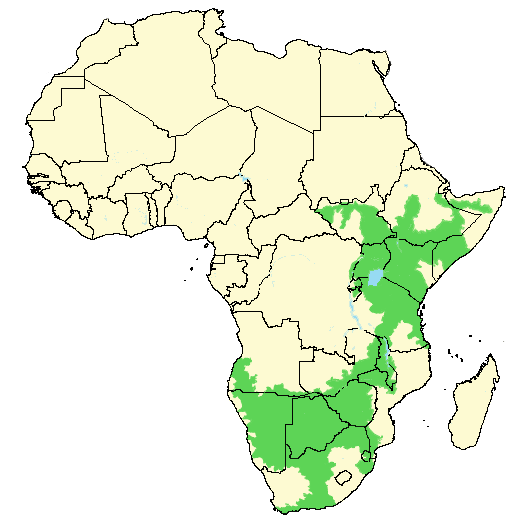 The leopard tortoise is found in various habitats, typically grasslands and thorny scrub, but also open woodlands. It does prefer semi-arid environments, but can also be found in rainier areas. 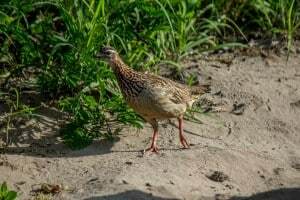 To avoid the hottest temperatures of the midday sun it will take shelter in abanonded burrows or under trees and vegetation. It will also take shelter in burrows during cold nights. 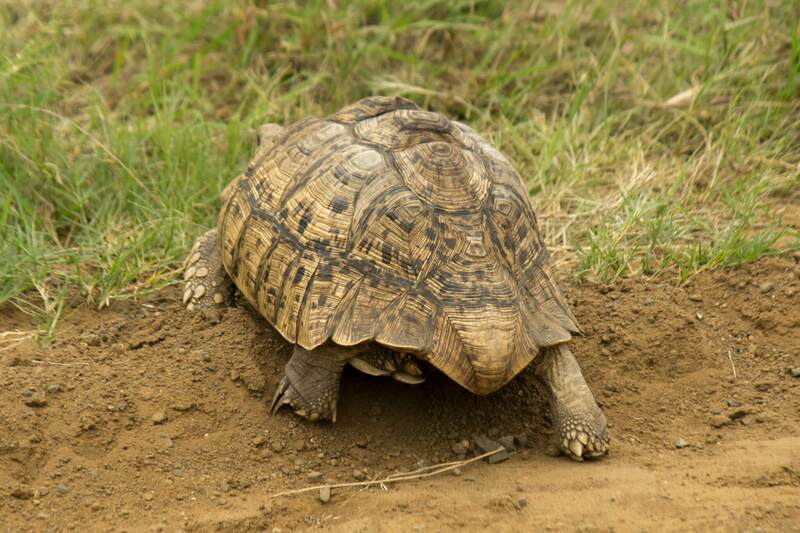 The leopard tortoise predominantly feeds on grass, but will also eat succulet plants, mushrooms and fruit. 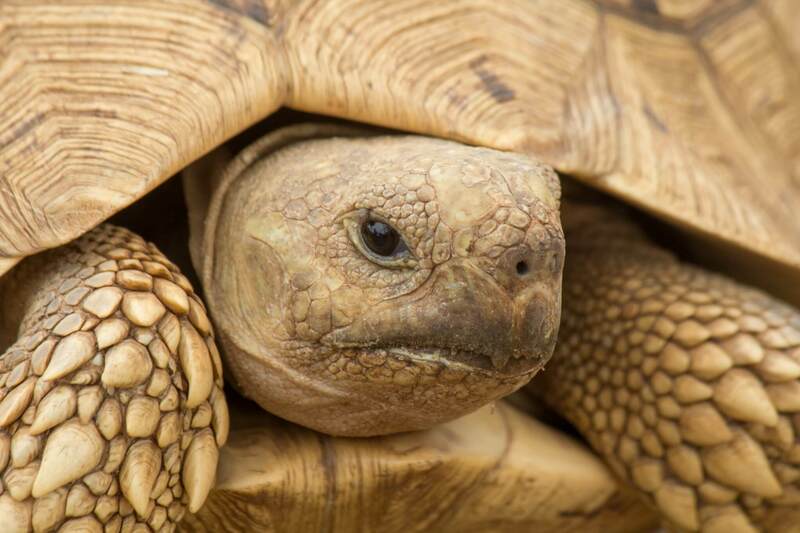 The leopard tortoise, like most other tortoise species, will hide its head and limbs in its shell when threatened. Its legs and feet are adapted to living on a rocky and uneven surface, making it surprisingly agile. The claws makes it easier to climb, and very young and small individuals can even climb short vertical surfaces. Even though the leopard tortoise prefer drier areas without much water, it can hold its breath and stay under water for up to 10 minutes. 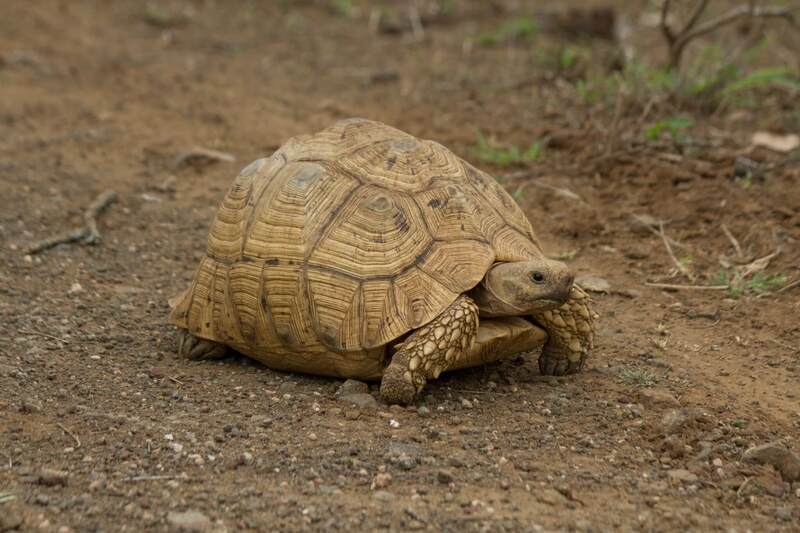 A leopard tortoise typically reach sexual maturity at 12-15 years of age, but it depends on how fast they grow. A captive individual may reach sexual maturity sooner because of increased food availability and thus will grow faster. Breeding season is from May to October. The males compete over females by butting and ramming each other until one ends up on his back. The male often acts aggressively towards the female he courts and will push and ram her, as well as sometimes lift her. 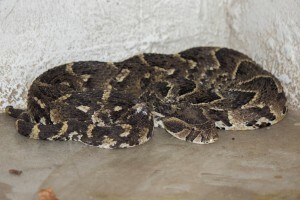 A female might even attempt an escape. When a male mounts a female he extends his neck and groans. After a successful copulation the female digs a hole in the ground, which will act as a nest for her eggs. It is typically 10-30 cm (4-12 in) deep. A feamle may lay 5-7 different clutches within one breeding season, with 3-4 weeks between each clutch. Each clutch will have 5-30 eggs. When the eggs are laid, the female covers up to the hole. Gestation period is from 8-18 months, and the length depends on temperature, location and precipitation. The young are independent upon hatching. A leopard tortoise may live to be 80-100 years old. The leopard tortoise has a history of being caught in the wild to be used as a pet, but many places, including the United States, import of the species is illegal. 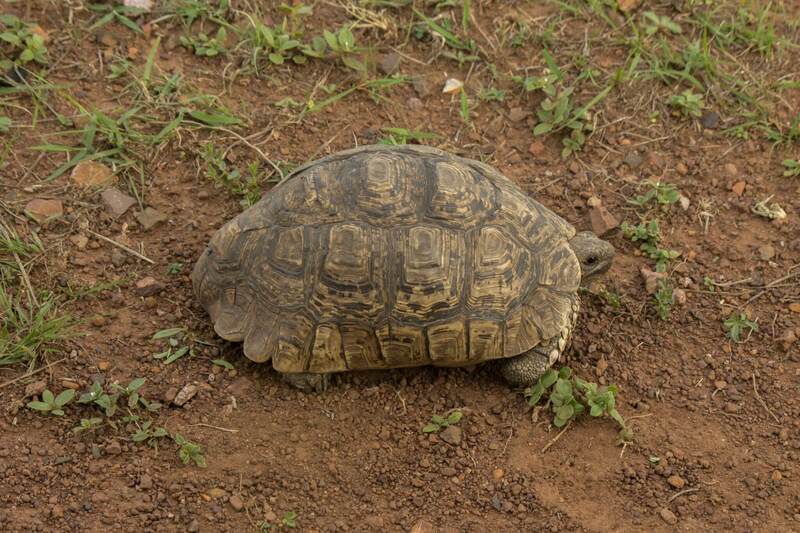 Wild caught leopard tortoises do not do well in captivity, are difficult to breed, and might be ridden with ticks or parasites, as well as have diseases. There are now captive breeding programs for the species, which work a lot better and are not illegal. 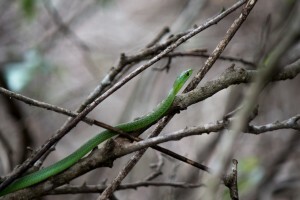 It is a widespread and common species throughout its range, but it is often hunted for food and is a vulenrabale species in densly populated areas. 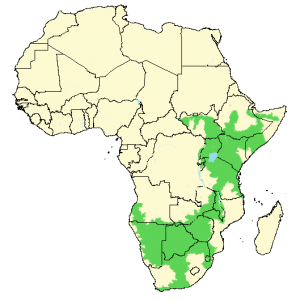 It is, however, quite numoerous most places and it is listed as least concern on the IUCN Red List.